Our product range includes a wide range of mirror finish stainless steel sheet, stainless steel decorative sheets, designer stainless steel sheet and stainless steel rose gold sheet. 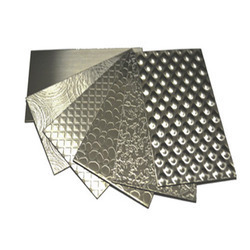 Product Description: We are engaged in offering a wide range of Stainless Steel Decorative Sheets which is procured from well know manufacturer of the world. 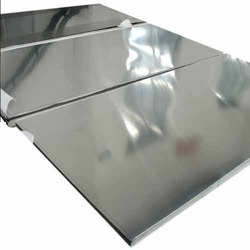 These stainless steel sheets are widely used in automatic doors, elevators, screen walls, decoration, kitchenware, transportation, medical, large scale & high degree architect, traffic facilities and are known for their fine surface finish. S.S. AISI 316 1219 mm x 2438 mm, 1219 mm x 304 8mm (0.6 mm, 0.7 mm, 0.8 mm, 0.9 mm, 1.0 mm, 1.2 mm, 1.45 mm, 1.85 mm, 2.00 mm etc. 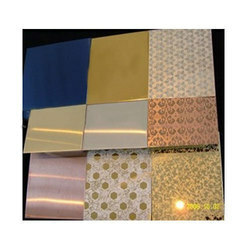 We can supply etching pattern and colored surface which is used by Elevator and Escalator Industry. The colour will be pure and it will not fade over a period of the time. 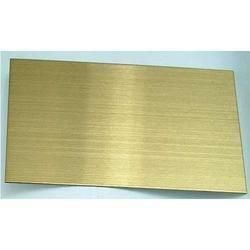 Product Description:Capitalizing on the ability of our skilled personnel, we are keenly instrumental in delivering a comprehensive array of Stainless Steel Rose Gold Sheets. Looking for “Stainless Steel Designer Sheet”?